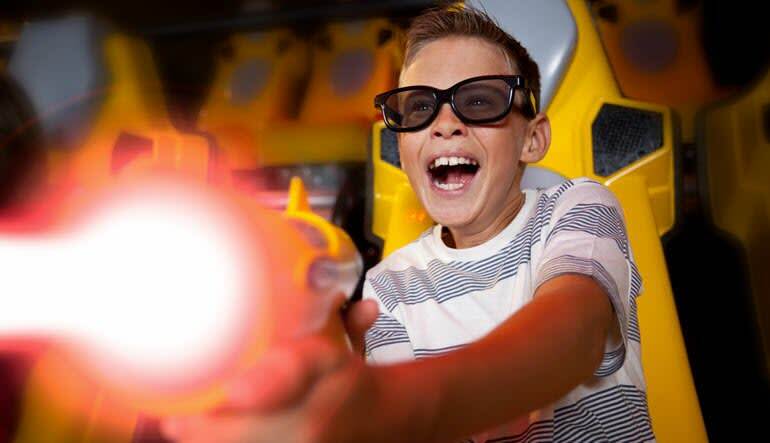 This multi-sensory thrill ride combines the white-knuckle rush of a roller coaster experience with the interactivity of your favorite first-person shooter! 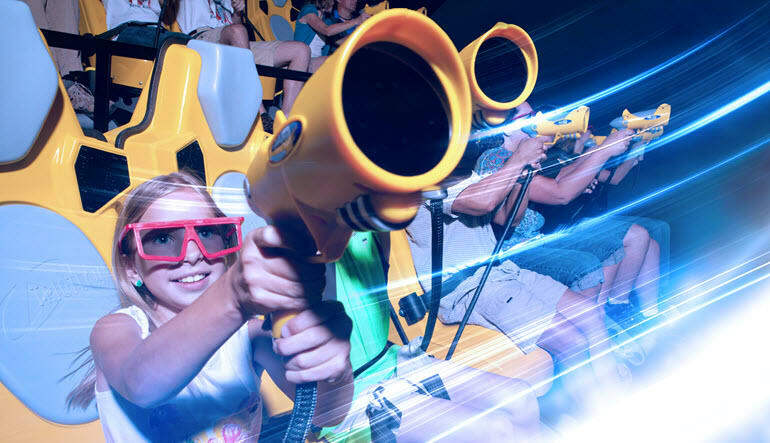 This multi-sensory thrill ride combines the white-knuckle rush of a roller coaster experience with the interactivity of your favorite first-person shooter! The setting: a 3D theater with a curved screen and motion seats. Equipped with a laser gun, you’ll move through virtual cityscapes or a Wild West scenario firing away at the baddies. It's undoubtedly one of the most unique gaming adventures in San Francisco! The combined 3D tech and curved screen create a VR-like experience where the picture encompasses your peripheral. But unlike VR, this adventure lets you turn to your loved ones and watch their faces light up as they take on hoards of zombies or outlaw robots! Take a 15-minute interactive theater adventure in 3D! Embark on a thrilling scenario that has you zapping monsters with a laser gun. Fly high over famous San Francisco sites! 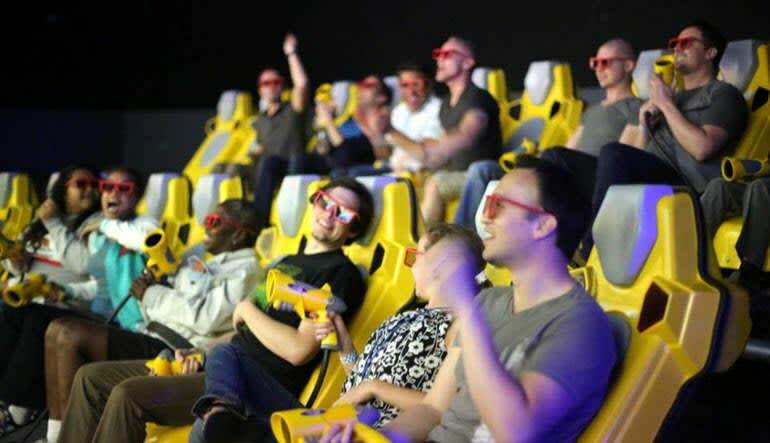 Be fully immersed with the help of 3D goggles, motion seats and practical effects. Compete for top spot on the leaderboard! Suited for the whole family and perfect for work outings, this virtual quest is unlike anything you’ve ever experienced. Book today! 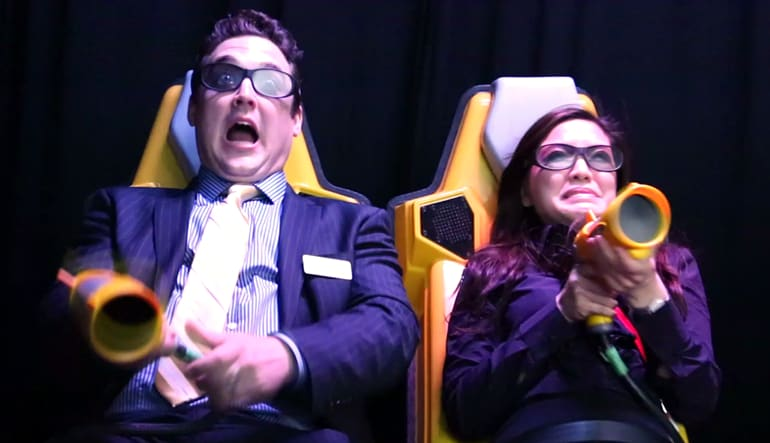 Motion seats and special effects simulate a roller coaster! Interactive guns and individual scoring let you in on the fun! A variety of themes including zombies, werewolves, and evil robots! Please note that each ride can hold 20 guests. Seating is on a first-come basis. Your ticket may be used one time for any ride on the day you booked.